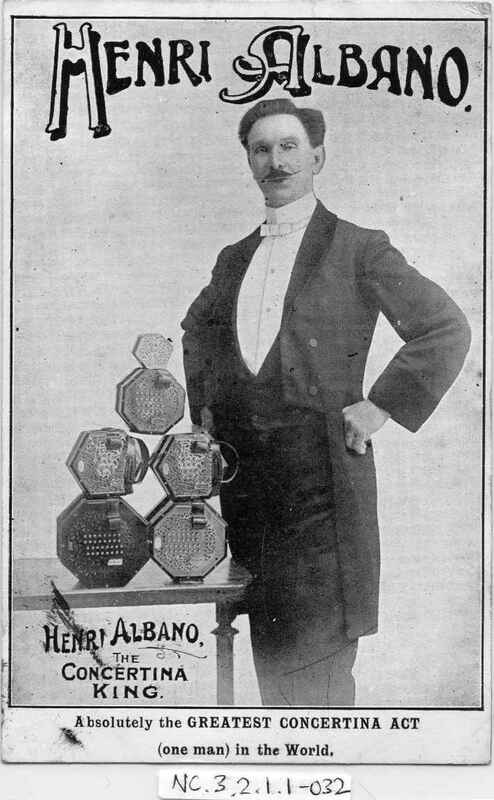 Full Description: A black and white photographic post card of “Henri Albano – The Concertina King. 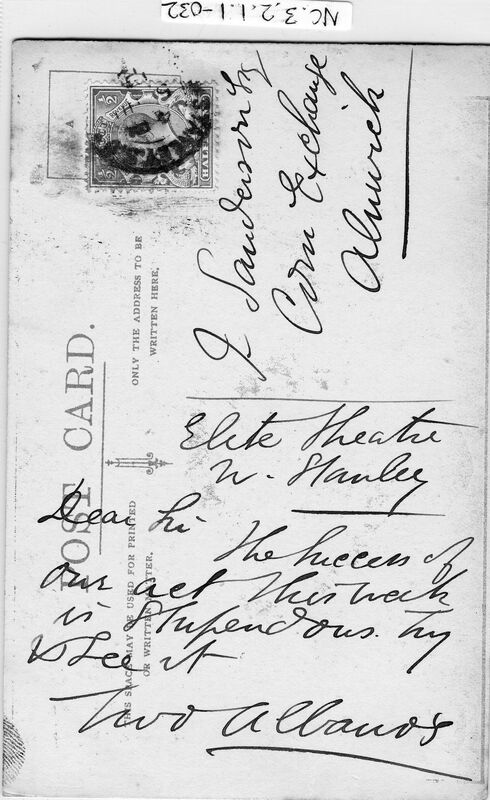 Absolutely the GREATEST CONCERTINA ACT (one man) in the World”, signed and dated by Albano, and sent by him to the Corn Exchange, Alnwick, from the Elite Theatre, Stanley, confirming the “stupendous success of our act this week”. 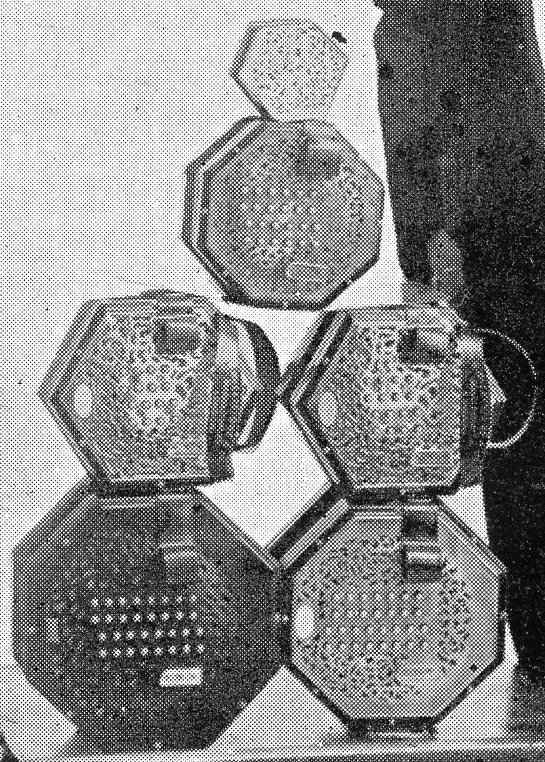 Albano is posing next to a stack of six concertinas: three Wheatstone Æola Englishes, two six-sided Wheatstone Englishes, and a metal ended miniature. Henri Albano published many arrangements of concertina music – his “Imitation of Church Bells and Organ” (published by C Wheatstone & Co), is item NC.5.2.1-001 [http://www.concertinamuseum.com/NC50201-001.htm] in the Collection.